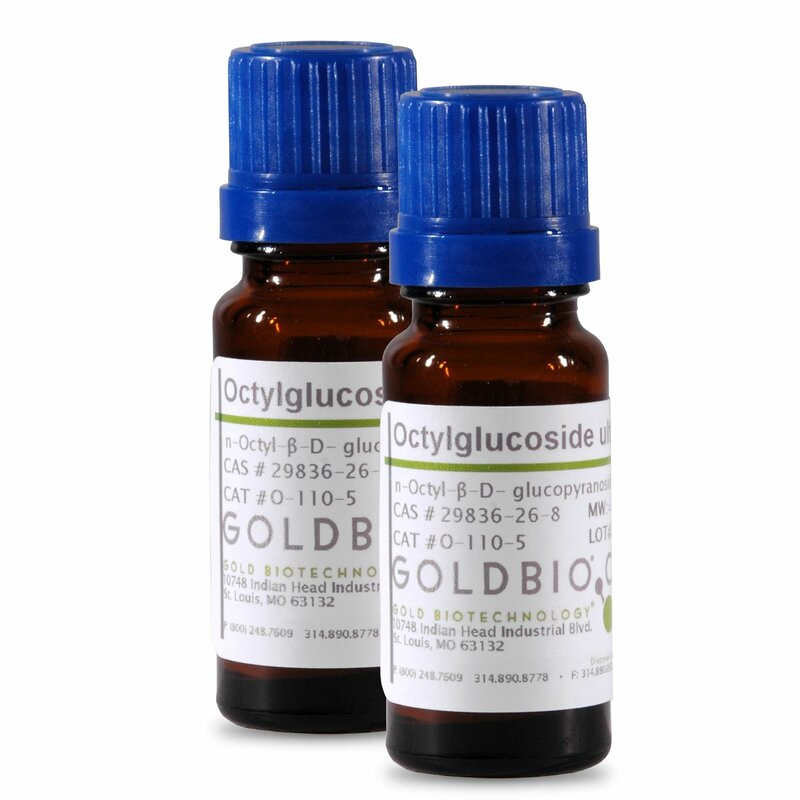 GoldBio provides octylglucoside and octylthioglucoside, which are both nonionic, nondenaturing detergents suitable for solubilizing membrane proteins. 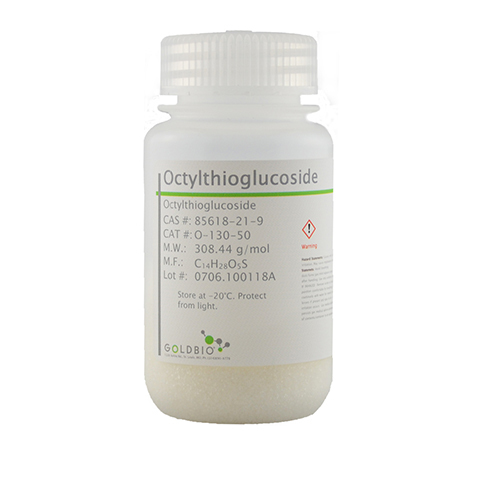 Both are gentle detergents that are able to be easily removed from the final extract; however, octylthioglucosidase, which is similar to octylglucoside, has the advantage of being resistant to β-glucosidase degradation. These reagents are ideal for a wide range of research applications and are offered at a more affordable rate without sacrificing quality. Octylglucoside is a nonionic, mild detergent used to isolate membrane proteins in the native state. It can easily be removed during final extractions by dialysis. Characteristics that contribute to this detergent’s usefulness are its water solubility, chemical structure and small-sized micelles. Octylglucoside also provides higher resolution of proteins in 2D electrophoresis.